Monster Truck are growing in the UK, with more and more people tuning into their incredible heavy blues rock sound – and plus, they’re a fun band. The Picturebooks turn up for the ride as Monster Truck’s support act for the tour – named ‘Tourin’ Heavy’  – and the two-man band sound great live, with their own style of blues rock complementing Monster Truck’s expertly. 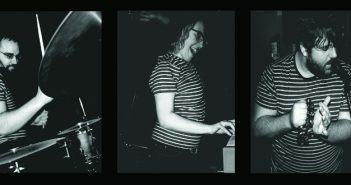 The Picturebooks were a surprise: for a two-piece band, they have an awful lot of power in their sound. To describe the Germans’ sound would probably do them an injustice, but try to imagine something like Royal Blood, if it was done to a blues style, complete with slide guitar and effects that Tom Morello would be proud of. They struggled a little to get the already sizeable crowd going to the same extent as Monster Truck, but this is typical for a support band. They were taken aback by the response however, and the number of people who had turned up to see them – frontman Fynn Claus Grabke promised they would come back for their own headline UK tour later this year. Both members gave the show their all, delivering an energetic, powerful show that sticks in the mind. Fynn Claus Grabke’s guitar playing erred on the side of wizardry at times, with an energetic vocal delivery that never dipped despite his frantic and complicated guitar playing. Philipp Mirtschink looked shattered at the end of their 40 minute set – and no wonder, as he was hitting the drums like he hated them. The Picturebooks’ unique, powerful blues rock will be sure to wow many more people across the tour. Monster Truck’s brand of heavy blues rock is already outstanding on CD, but live it is something else. Just three shows into their headline UK tour, Monster Truck played without any issues, and delivered an excellent, high-energy show that combined a brilliant mixture of their entire discography. They were on stage for almost an hour-and-a-half; as they have only released two records and a couple of EPs by this point, it was easier to count the tracks they didn’t play. The set-list did lean a little on the side of Monster Truck’s latest: Sittin’ Heavy, but they drew plenty from their other full-length Furiosity, and even a couple from The Brown EP. The crowd was quick to get into Monster Truck, and it wasn’t hard, as they opened their set with the high-octane ‘Why Are You Not Rocking?’ This is a track that can get even the slowest of crowds off their feet. Fan-favourites such as ‘Sweet Mountain River’, ‘Don’t Tell Me How to Live’ and ‘Seven Seas Blues’ really got the crowd going – as if they needed any more encouragement in the first place. That said, it was great to see that Monster Truck didn’t only play their higher-energy songs. The seven-minute stomp ‘For the Sun’ may not be the kind of song you’d expect to hear at a rock concert, but its slow, chunky riffs with a progressive tinge were immense when heard live, a highlight of the entire evening. The performances from all involved were excellent. Jon Harvey’s vocals and bass playing easily matched – and maybe bettered – his studio work. Brandon Bliss’ keyboard playing sounded awesome live, as did Steve Kiely’s brilliant drumming, but the star of the show may well have been Jeremy Widerman. His guitar playing is great on the studio recordings, but live, he enters a new realm. He owned the stage, running across, back-and-forth, never missing a note. Widerman kept the crowd having a good time, telling people when to clap, when to sing along. At one point, it seemed like he even joined the crowd whilst playing an incredible solo. His performance epitomised an energetic, awe-inspiring show from Monster Truck. If you’re heading to a show in Monster Truck’s headline UK tour, you’re in for a treat, and if you aren’t, do yourself a favour and go buy a ticket – they’re surprisingly cheap. For £15 you’ll be taken away by two bands that really do channel the classics. 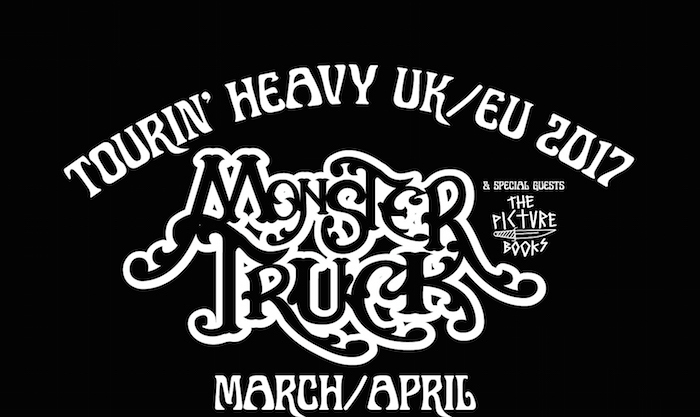 If you’re up for a night of tasty heavy rock, one after the other, then Monster Truck’s headline UK tour is not to be missed. 1. A playful reference to their latest album Sittin’ Heavy, and the band’s heavy sound.